Dozens of marches, walkouts, and protests have broken out across the country since the school shooting at Marjory Stoneman Douglas High School in Parkland, Florida, that killed 17. Not only are these demonstrations numerous, but they are also unique, in that they being led by young people - students in particular. On Saturday, March 24, a march called “March For Our Lives” will take place in Washington, D.C. to protest gun-violence and demand that action be taken on gun-control legislation. 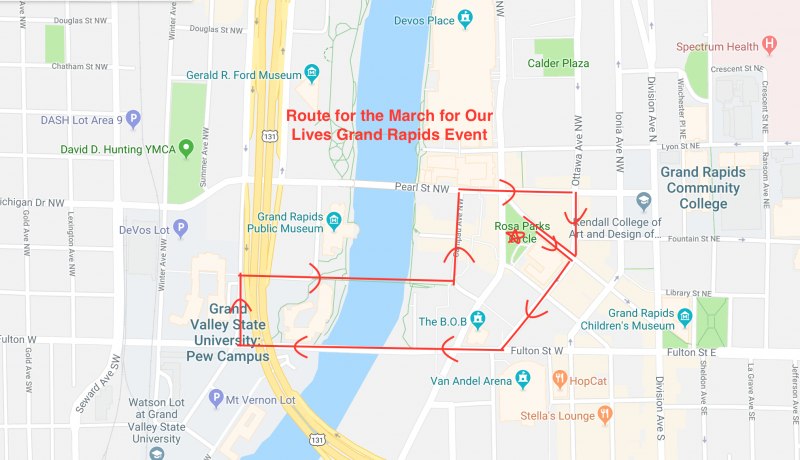 A sibling march will take place in Grand Rapids, which will begin at noon in Rosa Parks Circle and will go until 3 p.m. Numerous speakers will speak on how gun violence has affected them, and what can be done to fix the problem in the U.S. Voter registration tables will be present, and the Grand Rapid Social Justice choir will perform as well. At the center of this march in Grand Rapids is Emily Masternak, a sophomore at Forest Hills Northern High School. At 15, she and a few of her classmates have become the lead organizers of this march that has an expected attendance of over 1,000 people. 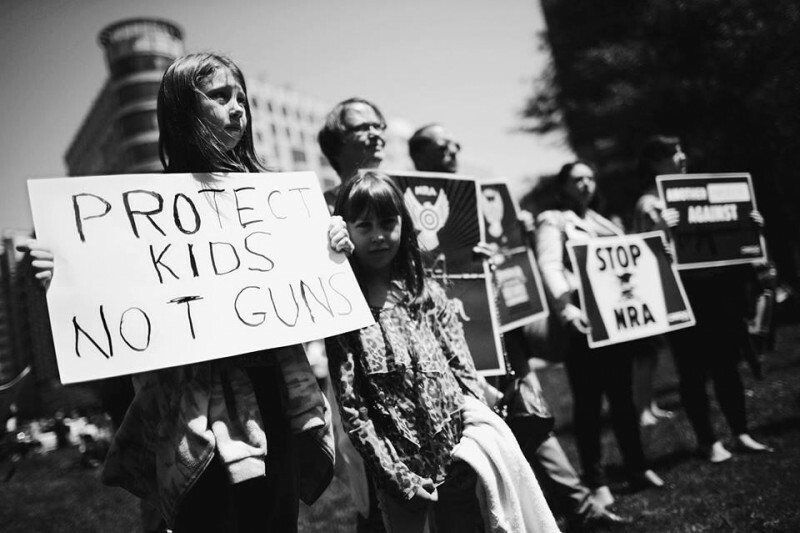 As a young person demanding for change, she represents the heart and soul of the new movement for increased safety measures on guns in the U.S., where young people are taking charge and organizing the demonstrations on gun violence. Masternak said she understands the undertaking it is to organize a march, but she said she felt compelled to do something to make a difference following the recent school shooting in Parkland. “I get really mad at school shootings and when injustices such as this one happen in the world. And because I’m 15, there's nothing I can do about it, and it just makes me really angry,” she said. She didn’t know what to do at first, until her mom encouraged her to take direct action. She came to Masternak and showed her the website for the national March for Our Lives website. “She said ‘Ok this is your time. If you want to do this, you can actually do something now,’” Masternak said. Many are coming to the march to show support for the movement that supports gun control legislation. Sam Baril, freshmen at Grand Valley State University, said she’s attending because she feels something must be done on the epidemic of school shootings. “I believe it’s important for people to be a part of something and do something if you want to make a change, regardless if that change is big or small. We have to start somewhere,” Baril said. Gillian Noonan, an attendee and also a freshman at GVSU, said stricter gun control laws will reduce the amount of school shootings in the U.S.
Noonan believes in the second amendment, and said herself she would like to own a gun one day to protect her and her loved ones, but she doesn’t believe semi-automatic or automatic weapons should be available for the general population. Gun-control advocates say they want a system found in other countries like Australia, where there are comprehensive background checks, a ban on assault weapons and waiting periods on getting guns. Masternak said the march is advocating for all of those things, and also against alternative solutions, such as arming teachers, which she said is ridiculous. “There's a more obvious way to fix this problem than (arming teachers). That wouldn’t make me feel safer to go to school, it would just make me feel more nervous,” Masternak said. Masternak said in this climate, change feels imminent because of the attention students are getting for protesting the lack of safety they say have in their schools. She said the burden has fallen on their shoulders to fight for their safety. She said other adults and politicians don’t understand what that feeling is like. The roughly one and half mile march that begins at Rosa Parks Circle will travel down Monroe St NW, Ottawa Ave NW, Fulton St. W, Mt. Vernon AVE NW, and Pearl St NW. The march is slated to last 20 minutes, and the event is open for anyone to attend. See the March For Our Lives Facebook page for more information.